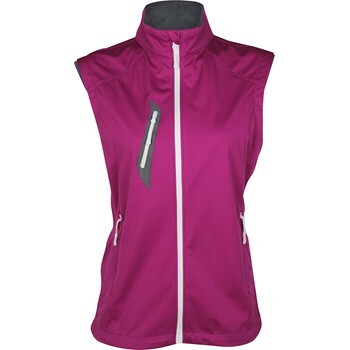 The Glen Echo WV-1225 Stretch-Tech Full-Zip Vest features a 100% Stretch-Tech polyester construction that provides extreme flexibility and comfort. It is water-repellant and incredibly quiet, and features double-layered armholes for an enhanced, athletic fit. Attached side draw cords for improved fit and comfort. Large zippered on-seam side pockets with waterproof chest pocket.